President Donald Trump landed in Warsaw, Poland, under the cover of darkness Wednesday but there will be no hiding from the spotlight during his two-day European visit that will include a much-anticipated meeting with Russian President Vladimir Putin. Trump is slated to deliver what national security adviser Lt. Gen. H.R. McMaster described last week as a “major speech” to the Polish people on Thursday. A day later, the president will be in Hamburg, Germany, for a meeting of the leaders of 20 rich and developing countries. Senior White House aides have busily described the president’s schedule, especially at the G-20 summit, as “packed.” Not only will he meet with Putin, but also his British, Chinese, German, Indonesian, Japanese, Mexican and South Korean counterparts, among other world leaders. But Trump has also, as recently as minutes before boarding Marine One to begin his transatlantic trek, been critical of U.S. allies and partners. In a tweet, he criticized China for its growing trade with North Korea. Here are three things to watch when Trump lands in Europe for what could be his second contentious visit there. There is no argument about the main event of the president’s G-20 schedule. His Friday afternoon meeting with Putin is being billed as a high-stakes session that will help set the tone for their relationship — and that of their nuclear-armed countries. But with their first one-on-one meeting less than 48 hours away, it remains unclear whether Trump will confront Putin over what all U.S. intelligence agencies agree was a Kremlin-backed operation to meddle in the 2016 U.S. presidential election. “Well, there’s no specific agenda,” McMaster said. “It&apos;s really going to be whatever the president wants to talk about.” Notably, administration officials last week touted the meeting as what’s known in diplomatic circles as an informal “pull aside.” But on Tuesday, as Americans were celebrating Independence Day, the White House announced it has been upgraded to a formal “bilateral” meeting, giving it more oomph — and Putin more legitimacy. But some experts are preaching lower expectations for what will be one of the most closely watched meetings of American and Russian leaders in some time. 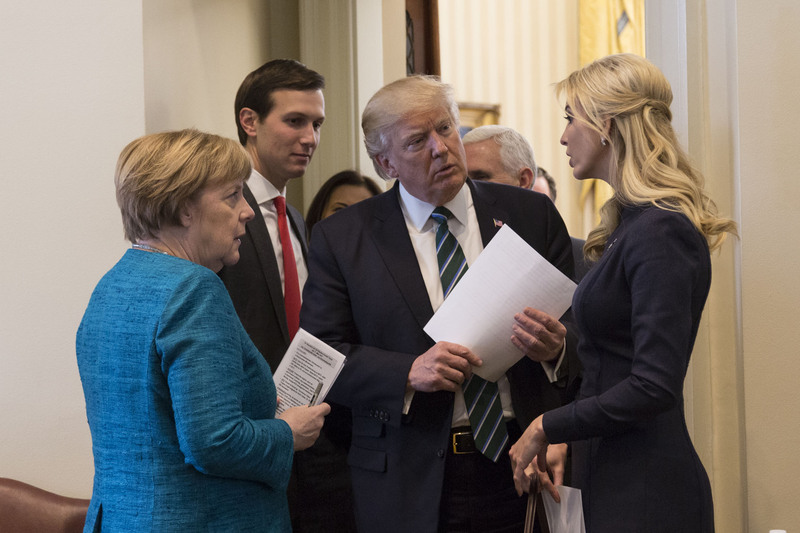 “For the self-respect of the country,” Trump must “come in and lead with at least a jab with the intrusion into our electoral system,” said James Stavridis, a former U.S. European Command chief and NATO supreme allied commander. “But, yes, we ought to try and find zones of cooperation where we can with the Russian Federation. That seems a fitting description of Trump’s emerging approach to and his relationships with other world leaders — and even his public messages about them versus those of his aides. In short, keep an eye on how contentious and, likely, awkward, things get in Hamburg. The world was taken aback last month when the U.S. president shoved Dusko Markovic, the prime minister of Montenegro, out of his way in an apparent attempt to be photographed at the front of a group of G-7 leaders. A sequel is definitely possible given Trump’s unpredictable and protocol-shunning actions. In office for just over five months, Trump has already had rows with the leaders of longtime U.S. allies such as Australia, Canada, and France. He also has a rocky relationship with others, such as German Chancellor Angela Merkel, whom many experts say is the new “leader of the free world” given Trump’s stated disdain for having America’s leader continue in that role. Dan Kochis, an European affairs analyst at the conservative Heritage Foundation, called the president’s trip “a critical early juncture for U.S. policy toward Europe and Russia.” Kochis expects the president and his French and German counterparts will discuss bolstering their cooperation on issues such as counterterrorism and some economic matters. The White House’s selection of the central European country of Poland for one of Trump’s first foreign speeches is seen by experts as sending a not-so-subtle message to Putin that the administration intends to remain a player in Russia’s backyard. Notably, however, the president’s Thursday speech in Warsaw to the Polish people is being penned primarily by senior policy adviser Stephen Miller. The speech is expected to tout the Polish people’s longtime focus on their own “national identity,” according to one report. That’s key because Miller is a leading architect and proponent of Trump’s “America First” philosophy. That means the U.S. president will be sending a message not only to Putin, but also to more globalist European leaders as he continues to move America into its own orbit and away from its traditional allies.